Did you know that if you are injured on another’s property, you may have important legal rights? Property owners have a duty to keep their premises free from dangerous conditions. 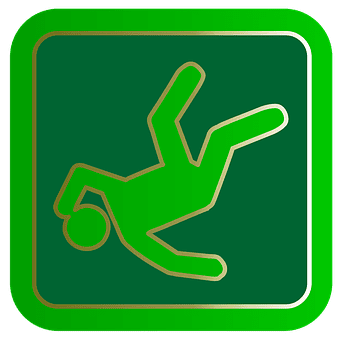 This area of the law is known as premises liability law and one type of such a case is typically referred to as a “slip and fall.” When one of our clients recently slipped and fell near Rumford Center, in Rumford, Rhode Island our personal injury attorneys fought to achieve justice. During her lunch break, our client entered a commercial plaza patio when she suddenly slipped and fell due to icy conditions on the entrance. The slippery conditions were difficult to see and there were no warning signs. In the slip and fall, our client struck her head and back on cement. This resulted in a trip for emergency treatment where she was diagnosed with multiple injuries, including a concussion and a lumbar strain/sprain with sciatica.
. There were no signs, warnings, or evidence of salt or sand around the ice that caused her injuries. Our personal injury firm stays on top of the cutting edge best practices in handling Rhode Island car accidents with various types of injuries. In this case, damages from this accident included lost wages, pain and suffering, and medical expenses and settled for a confidential amount. Our client was grateful that we were able to achieve justice and a favorable outcome that reimbursed our client for all medical other expenses as well as a lump sum pain and suffering settlement!